All packed and ready to go but I nearly forgot this! 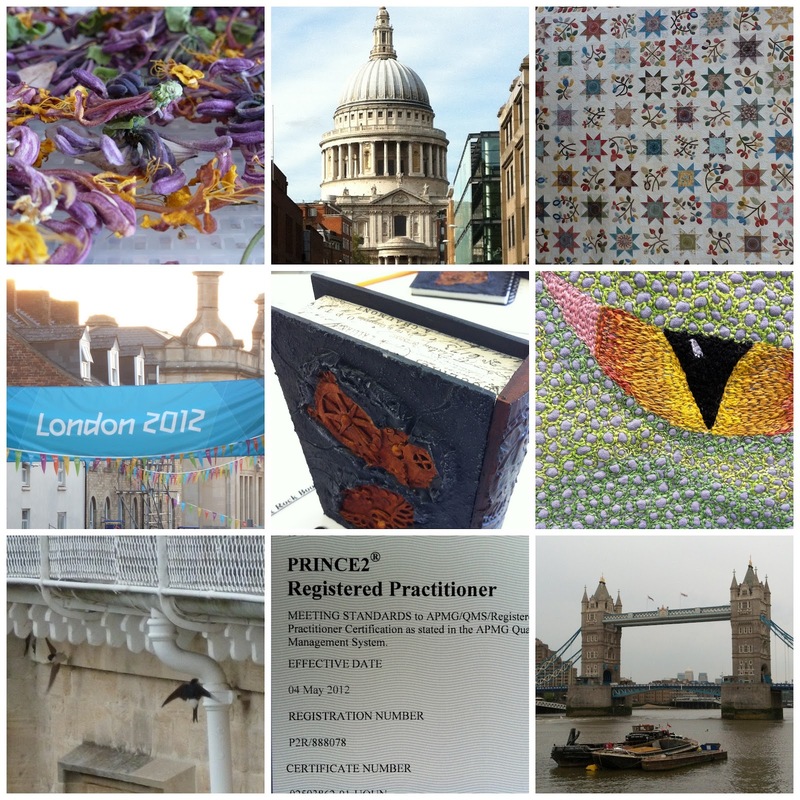 A round up of the past month in pics which includes a week in London on a study course, walking the route the night before the Olympic torch came to town, drying herbs, decorating boxes at an Andy Skinner workshop, the amazing Quilt Fest at Malvern and the busy little house martins feeding their chicks. A busy month :) À bientôt!